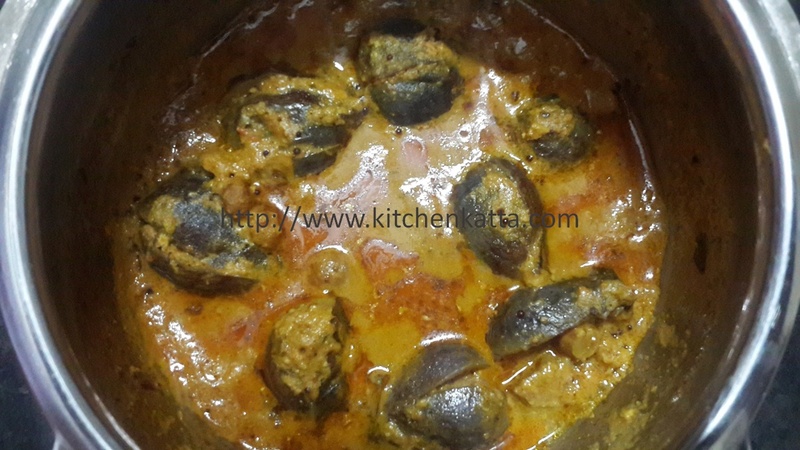 Today I am sharing this main course recipe of Bharali Vangi or stuffed brinjals. Brinjals is one of versatile vegetable that is prepared in many ways in my home. However this one is all time fav! 2. Heat 2 tbsp oil in a pan and add chopped onion. Fry till it becomes translucent. 3. Add chopped tomato and continue till tomato become soft. 8. Heat remaining oil, add rai, hing and add the stuffed brinjals. Stir for a minute. Add all remaining masala paste, add water, cover and cook till brinjals are cooked and oil starts separating. Add water as needed while steering occasionally.